Planning a wedding is one of the times in your life when you experience every emotion possible. Excited, nervous, scared, happy, anxious… the list goes on. You have your to-do list, the countdown app on your phone and before you know it, it’s wedding day! I got married in September of 2012, and it was definitely the best day of my life so far. But after it’s all said and done, you begin to look back on the day and reflect. By doing this I realized that there was definitely things I was so glad we decided on, and others that I wish we could have done differently. I was the first one of my friends to get married. And although I loved the fact that I was a young bride, it was sometimes difficult to figure things out on my own and not have a friend who had already been through it. That being said, I have decided to put together my list of wedding day do’s and don’ts. If you are a future bride, I hope you can take something from today’s post to help with your wedding day plans. And if you are already married, feel free to write the things I may have missed in the comment section! 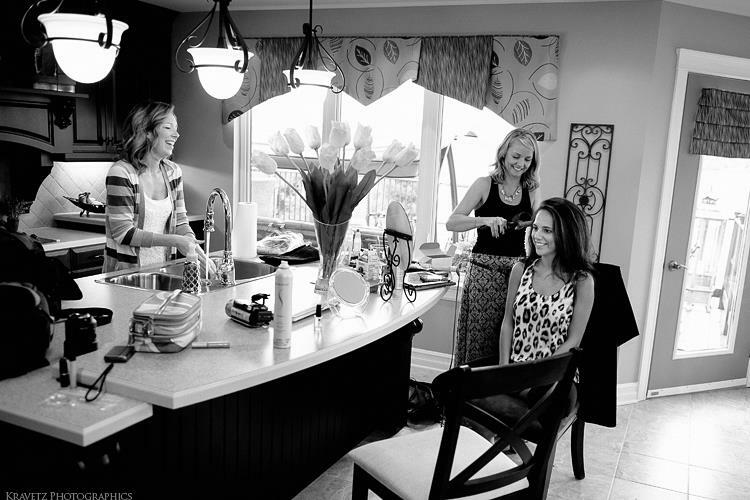 (DO) GET READY AT HOME: If you are able to choose between going to the salon or staying at home while getting ready – I strongly suggest having the hair stylists and makeup artists come to you. It was such a great feeling waking up with my bridesmaids, playing some music, and being totally relaxed in the comfort of my own home! (DO) HIRE THE PROS: There are so many resources online to help you on your wedding day, especially if you are on a tight budget. My advice is to hire the professionals (and pay a little extra) for the details that are most important to you. For me, this was my photographer and videographer. Sure, your great uncle Ned with the fancy camera could probably do it.. but spending the extra money is definitely worth it when all you have to look back on is your pictures and videos. (DO) TALK TO YOUR GUESTS: There is nothing worse then going to a wedding and feeling like the couple didn’t realize you were there. Your guests are important. They have booked this day off to spend with you, so make sure that you take time to thank them for coming. Whether it’s a receiving line after the ceremony, or walking amongst the tables at the reception, it is important to set a time aside to talk with your friends and family! (DON’T) WING YOUR THANK-YOU SPEECH: My husband and I are fairly outgoing and don’t mind speaking in front of a crowd, so we figured that it would be fine to wing our thank you speech at the end of the night. Well, this is my biggest regret. We were so overwhelmed with excitement that our emotions got the best of us! We ended up having a super brief thank you and left out so many things that we wanted to say. I don’t think you have to write out a speech word for word, but I do recommend jotting down a few points to use as a reference. (DO) MAKE A GRAND EXIT: I know many of you might disagree with me, but this is the one thing I was so happy we did on our wedding day. After the reception was over, we decided to be the first ones to leave! 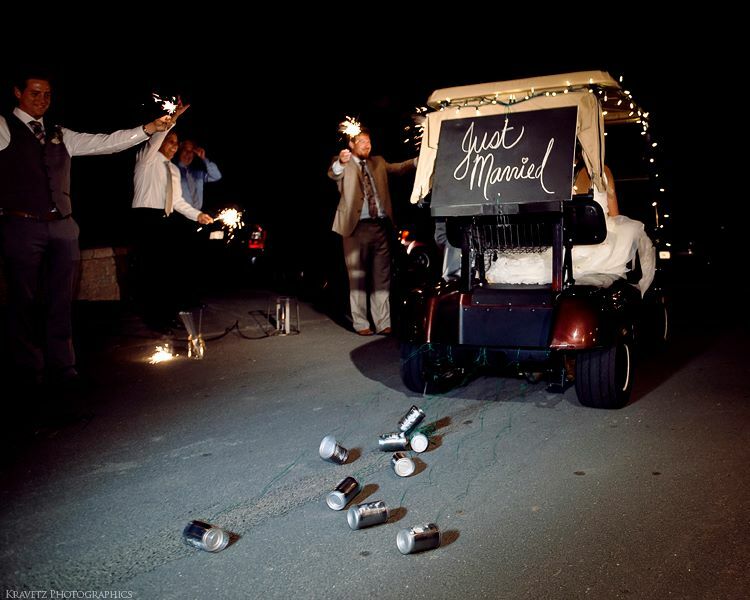 We planned a sparkler exit, lit up a golf cart and drove away with all of our friends and family cheering – it was really fun! The best part about it is actually having time at the end of the day to spend with your new spouse! I hope some of my tips can help you in your wedding day planning. These suggestions are coming from my own experience, and I don’t assume that everyone will agree with me. My biggest piece of advice is to stay true to who you are and do the things that will make you the happiest – because it is your day and you deserve it!